The children of today are the guests of tomorrow. According to this philosophy much is done for the children in the Brewery Guest House Lohhof. We want to ensure that families with children may be increasingly welcomed as guests and that the children are always feeling comfortable. Children are taken into account in the pricing of nights, a special children’s menu responds to children’s wishes and the wallet of the parents. A play area within the guest house and a small children’s playground in the beer garden complete the family atmosphere. 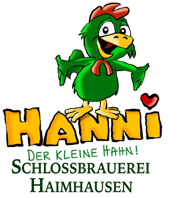 Family-friendly is not just a slogan, but a living philosophy of the Brewery Guest House Lohhof.